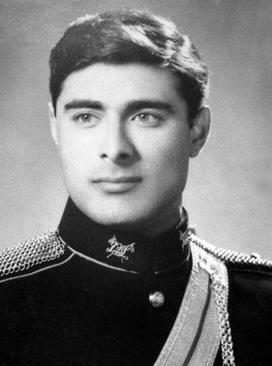 Shuja Khanzada as a young cavalry officer. On August 16, 2015, Punjab Home Minister Colonel ® Shuja Khanzada was killed in a suicide attack in his hometown of Shadi Khan in Attock. He belonged to a military family and several family members served in British Indian army and junior civil service. His grandfather Subedar Major and Honorary Captain Ajaib Khan had served in British Indian army. Ajaib Khan was Subedar Major of 76th Punjabis (later 3rd Battalion of Ist Punjab Regiment and now 3rd Punjab Regiment of Pakistan army). He was with his battalion during First World War in Mesopotemia and won Indian Order of Merit (IOM) in an action. On May 15, 1915, Ajab stormed a fort in Khafajiyah with six other soldiers. In this action, his orderly Sepoy Burhan Ali was killed in action and awarded posthumous IOM. Ajaib retired after a long service and was awarded OBE and OBI. Ajaib’s one brother served in Indian Medical Service while three other brothers served in civil service in Hong Kong. Hashim Khan spent his whole career in post office department, Sardar Khan was chief clerk of harbor office and Khawas Khan was clerk at Supreme Court. Shuja’s uncle Captain ® Taj Muhammad Khanzada was one of the most decorated officer of Indian army. Taj Muhammad Khanzada was Shuja’s uncle. In 1926, Taj joined Royal Indian Military College at Dehra Dun. After completion of his education, he was selected for Indian Military Academy Dehra Dun. He was among one of the early batches of Indian officers trained at Dehra Dun. After completion of training, he was commissioned with army number of IC-53. He joined 5th Battalion Duke of Connaught’s Own 11th Sikh Regiment (now 5 Sikh Regiment of Indian army). His battalion mates included Harbakhash Singh (later Lieutenant General), Khanolkar, Ajaib Singh, Ranjit Rai (later Lieutenant Colonel), Allahdad Khan, Hamid Hussain (later Brigadier), Muzaffar Khan, Nausherwan Khan, Hassan and Khushalpal Singh. Taj won Military Cross (MC) in 1939 in Waziristan and DSO and Bar in 1941 in Burma theatre. During Japanese captivity, he joined Indian National Army (INA) and put in charge of special service group. However, his role in INA is not clear. After Japanese defeat and surrender, members of INA now came under British captivity. INA members were designated Black, White and Grey. Taj was labeled white and was kept in cantonment in Delhi. Later, he was removed from the army when he was holding the rank of Captain. When India and Pakistan gained independence in 1947, both armies decided not to re-instate former INA officers. In 1947-48 Kashmir war, several former INA officers fought in Kashmir. In addition to Taj, Muhammad Zaman Kiani, Burhanuddin and Habibur Rahman fought on different fronts. Taj fought in Poonch sector with the temporary rank of Lieutenant Colonel. Shuja had his early education in Khyber-Puhktunkhwa (KPK). He joined Pakistan army in 1967 and commissioned in 13th Lancers. 13th Duke of Connaught’s Own Lancers is an old cavalry regiment of British Indian army inherited by Pakistan. Shuja was with his parent regiment in 1971 Indo-Pakistan war. 13th Lancers was part of 8th Armored Brigade commanded by Brigadier Mohammad Ahmad. Other two regiments of the brigade included 27th Cavalry and 31st Cavalry. 13th Lancers participated in battle of Barapind/Jarpal in western theatre where it fought against a fine Indian cavalry regiment 17th Poona Horse. Shuja was MTO (Mechanical & Technical Officer) of the regiment and his tireless efforts helped to recover and repair many damaged tanks. Shuja lost five fellow officers in this battle and the list included Captain Ejaz Alam Khan, Lieutenant Pervez Aslam, Lieutenant Zafar Ali Akbar, Second Lieutenant Qaiser Nazir Qureshi and Second Lieutenant Khalid Masud Yaqub. All officers belonged to military families with long association with the army. Shuja commanded his parent regiment from 1983-85. After command of his regiment, he went to Inter Service Intelligence (ISI). He was appointed head of Quetta detachment of ISI. It was here that Shuja got involved in a tussle way above his pay grade. As head of Quetta detachment of ISI, his main task was counterintelligence. In late 1980s, ISI got embroiled on several fronts and different tasks got mixed up. Counterintelligence department was used for political re-engineering in Pakistan and it also got mixed up with Afghan affairs. The result was internal turf battles within ISI. Old Afghan hands of ISI operating from the Afghan Cell who were handling Afghan clients on the ground for over a decade resented interference from new kids who were not part of Afghan Cell. Pakistan was managing a wide variety of Afghan clients. British intelligence got limited support of ISI as well as CIA to try to use Royalist commanders and traditional tribal dynamics to force a change in southern Afghanistan. Syed Ahmad Gilani’s National Islamic Front of Afghanistan was the main Royalist group among seven parties operating from Pakistan (they were not much effective on battle ground but were suave diplomats wearing expensive silk suits and brand name watches and eyeglasses. This earned them the nick name of ‘Gucci Muj”). Syed’s nephew Ismail Gilani opened up channels with 2nd Corps Commander General Nurul-Haq-Ulumi (a scion of Barakazi tribe). The plan envisaged that Gilani’s commander in Spin Boldak Asmat Muslim (member of the local influential Achackzai tribe) would capture border town of Spin Boldak and head towards Kandahar where local garrison would defect. Once major Southern town was secured then at some point former King Zahir Shah would land as titular head and march towards Kabul and on the way, major garrisons would defect. This was a highly ambitious plan based on unrealistic expectations, ignoring tribal and clan conflicts and severely underestimating the staying power of Afghan government. DGISI and head of Afghan Cell gave cautious and limited blessing to the plan but Afghan handlers on ground were not in agreement. They thought that it was a plan of British intelligence to highjack the whole Afghan project. The result was that some of the dealings with Royalists commanders were assigned now to counterintelligence division. It was in this context that Shuja came into the picture, however, his influence was very limited. ISI Afghan Cell handlers on ground for Southern Afghanistan didn’t agree with the project and launched a series of ambushes of Afghan columns which finally resulted in removal of General Ulumi (they think that their efforts were instrumental in removal of Ulumi but in my view internal Afghan dynamics and rivalries had more to do with the removal). In addition, they also supported the Achakzai’s rival Noorzoi tribe’s militia to gain control in border region of Spin Boldak. 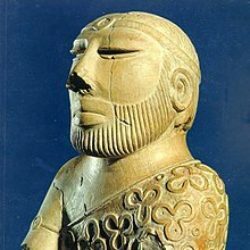 Afghan players were masters of byzantine intrigues and played one against the other to extract maximum benefits. Shuja served as Defence Attache in Pakistan embassy in Washington from 1992 to 1994. He developed problems with Pakistani ambassador Maleeha Lodhi. It was a classic example of dysfunctional institutional relationships inside the country exported even to diplomatic posts. On Maleeha’s recommendation, Prime Minister Benazir Bhutto recalled him back on a twenty hour notice and he was later sacked from the army. It was understandable that he was very bitter about it. However, he accused Maleeha and Benazir Bhutto of working to roll back Pakistan’s nuclear program and freezing of Kashmir issue and cited this as reason for his recall. When back in Pakistan, he contacted then Chief of General Staff (CGS) Lieutenant General Jahangir Karamat, Director General Inter Services Intelligence (DGISI) Lieutenant General Javed Ashraf Qazi and Director General Military Intelligence (DGMI) then Major General Ali Quli Khan to vent his anger at un-ceremonial exit. He blamed army brass for not standing up to the civilian government and protecting him. In addition to military service, politics was the second career adopted by the Khanzada family. Subedar Major and Honorary Captain Ajaib Khan was appointed member of Legislative Council of the Governor General of India in 1916. Contrary to popular perception in Pakistan, Muslims were patronized by British in different fields to help them advance. 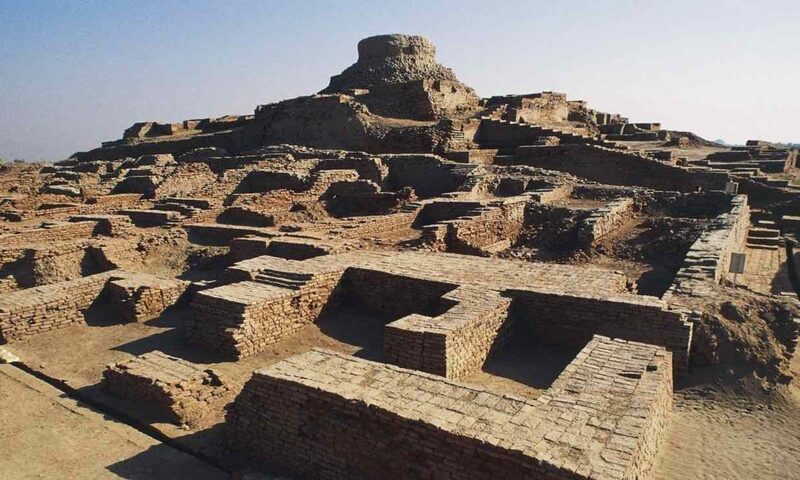 Seven other candidates were considered for the position which Ajaib finally filled at Viceroy’s Council and out of seven, six were Muslims (three Punjabi Muslims, three Pathans and one Deccani Muslim) while the sole non-Muslim was a Gurkha. Ajaib participated in debates on Indianisation of the officer corps of Indian army and at one time questioned by Muhammad Ali Jinnah. Later, Ajaib was appointed first British representative to Mecca and received a decoration from the King of Hejaz. He also served with British Military Mission in Meshad in Persia. Later, Ajaib also served as the nominated member of Punjab Legislative Council from 1924-26. Taj Muhammad Khanzada followed in his father’s footsteps and also had a long political career. He first became member of West Pakistan provincial assembly in 1962 and was active in politics for over three decades until late 1990s. Shuja followed in the footsteps of his ancestors and joined politics. After brief affiliations with two political parties, he joined Pakistan Muslim League of Nawaz Sharif. He was advisor to Punjab chief Minister Shahbaz Sharif especially on law and order. Some allege that he was responsible for disbandment of the intelligence efforts to tackle terrorism. This needs some elaboration to clarify a complex situation. A Special Intelligence Agency (SIA) was created in Punjab to gather intelligence about terrorists. Around two to three hundred former Military Intelligence (MI), Inter Services Intelligence (ISI) and Special Service Group (SSG) soldiers and Non-Commissioned Officers (NCOs) were recruited on contract basis. SIA was headed by a Colonel (a cavalry officer who had also served with SSG and ISI). No intelligence agency (with intelligence gathering authorization) can be instituted at provincial level. Secondly, Criminal investigation Agency (CIA) and Special branch in Punjab police have legal authority to collect crime related intelligence. Establishment of SIA was certainly a way to short circuit the system and hence the idea was opposed by police and civil service. They saw this measure as encroachment of military in its area of operations. SIA finally became an orphan. Members were first sent to CIA Headquarters where they lingered even without a salary and finally dismissed as they were recruited on contract basis. SIA was finally disbanded under federal pressure in 2010-11. In 2014, Shuja was appointed Home Minister of Punjab province. In this capacity, he was responsible for the law and order. His military and intelligence background helped him to work smoothly with military authorities now charged with cleaning the mess. Counter Terrorism department of police was strengthened and National Action Plan (NAP) was expanded to tame sectarian demons. Leader of a rabid anti-Shia group Lashkar-e-Jhangvi Malik Muhammad Ishaq was arrested and on July 29, 2015, counter terrorism department of police announced that he was killed in an encounter along with his two sons when his comrades tried to free him from police. Two weeks later, Lashkar-e-Jhangvi struck and claimed responsibility for killing Shuja in a suicide attack as revenge of their leader’s death. Shuja was a very handsome man and when he died few days short of his 72nd birthday, he was still full of vigor and energy. A courageous man gave his life for the greater good. Rest in peace.